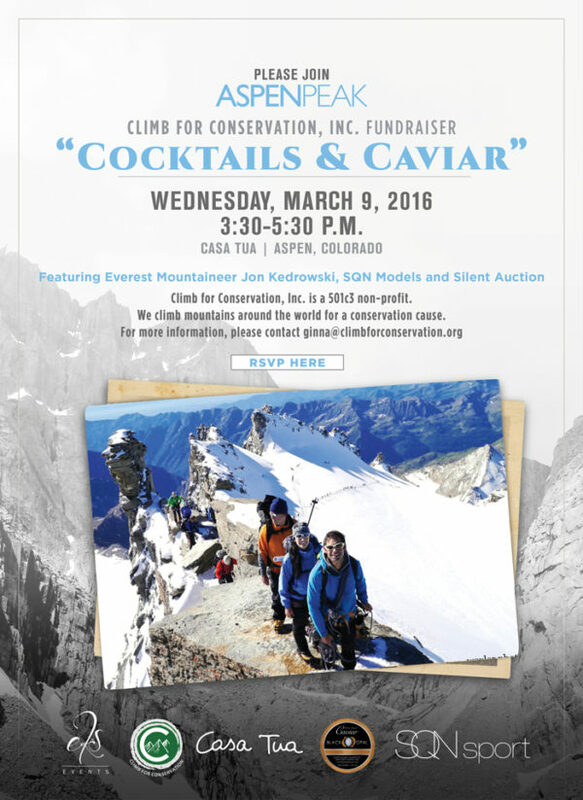 JOIN US on March 9th, 2016 in Aspen, Colorado at Casa Tua for an Apres Ski “Cocktails & Caviar” fundraiser for the endangered African Black Rhino. Open to the public, cash bar! Thank you to our partners Casa Tua, Aspen Peak Magazine, Black Opal Caviar, and Elizabeth Slossberg Events.